Do you have difficulty walking, climbing stairs or performing everyday activities? It may be time to consider hip replacement surgery. While orthopedic surgeons tend to delay hip replacement surgery in favor of less invasive treatments, patients with advanced joint disease or severe damage can benefit from hip replacement surgery in Mexico. 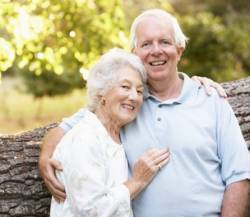 How long does the hip surgery take? What is the recovery time? Hip replacement surgery in Mexico lasts from 2 to 4 hours to removes the diseased bone tissue and cartilage from the hip joint, while leaving the healthy parts of the joint intact. Patients of hip replacement surgery in Mexico typically do not spend more than 3 days in the hospital after hip replacement surgery. Full recovery depends on the type of surgery, your overall health, and the success of your rehabilitation. How is the hip implant affixed in the body? Hip replacement surgery in Mexico involves the replacement of joints cemented and cementless fixations or by press fit. Cemented parts are fastened to existing, healthy bone with a special glue or cement. Cementless fixation relies on a process called biologic fixation, which holds them in place. This means that the parts are made with a porous surface that allows your own bone to grow into the pores and hold the new parts in place. Will I be asleep during my hip surgery? On the day of surgery, patients of hip replacement surgery in Mexico are introduced to an intravenous tube to administer necessary medications and fluids during surgery. You will then be taken to the operating room and given anesthesia. How old is the average hip replacment surgery patient? In the US, the average joint replacement patients are in their 60’s and 70’s, however hip replacement patients in Mexico are of all ages. Longevity of the hip implant surgery in Mexico varies from patient to patient and relies on factors such as a patient’s physical condition, activity level, and weight, as well as the accuracy of implant placement during surgery.